Dimensions 0.25 by 8.50 by 11 in. Amazon.com description: Product Description: Why is breathing in harder than breathing out? Why does talking depend on breathing? 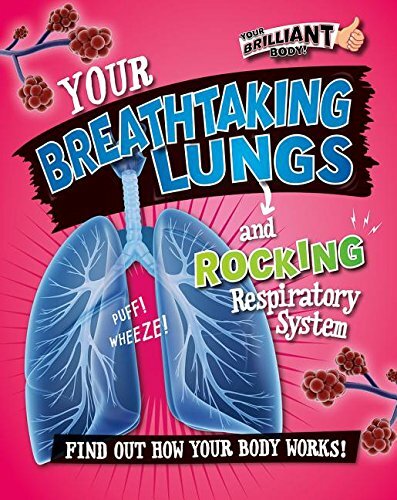 Your Breathtaking Lungs and Rocking Respiratory System takes readers on an entertaining tour of the lungs and the process of breathing. Every spread opens with an amazing science fact about the human body, then goes on to explain the science behind the fact. Detailed diagrams and amazing images illustrate the lively text.